We love sharing Springboard Retail updates and new features with our customers. And we know you love hearing about them—but, you also have a lot on your mind. 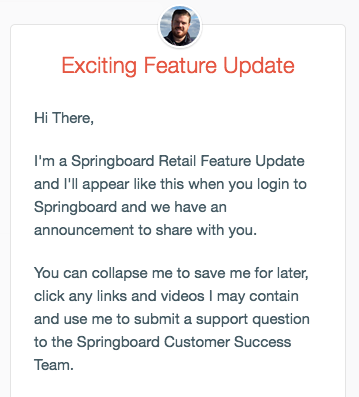 We’ve come up with a solution that we’re pretty excited to share: from now on all feature announcements and updates will appear right within Springboard Retail’s Cloud POS and retail management platform. When you log into Springboard Retail, whether to manage inventory or ring out a sale, a message like this one will appear on your screen. Click it to expand and read the important update without taking time out of your busy day. After you read the message, you can easily collapse it and get right back to doing what you love. All of your users will automatically see the announcement when they log in to use the POS, so your leadership team doesn’t need to worry about making sure all associates are aware of this update. They already know! Missed the message? Or need a reminder? You can pull back up a collapsed message by clicking the question mark at the bottom right of your screen to refer back to the message at any time. Got a question? We’re right there. Easily submit a support question right in the Springboard Retail POS platform, by writing a response to any of the messages—whether your message is related or not. 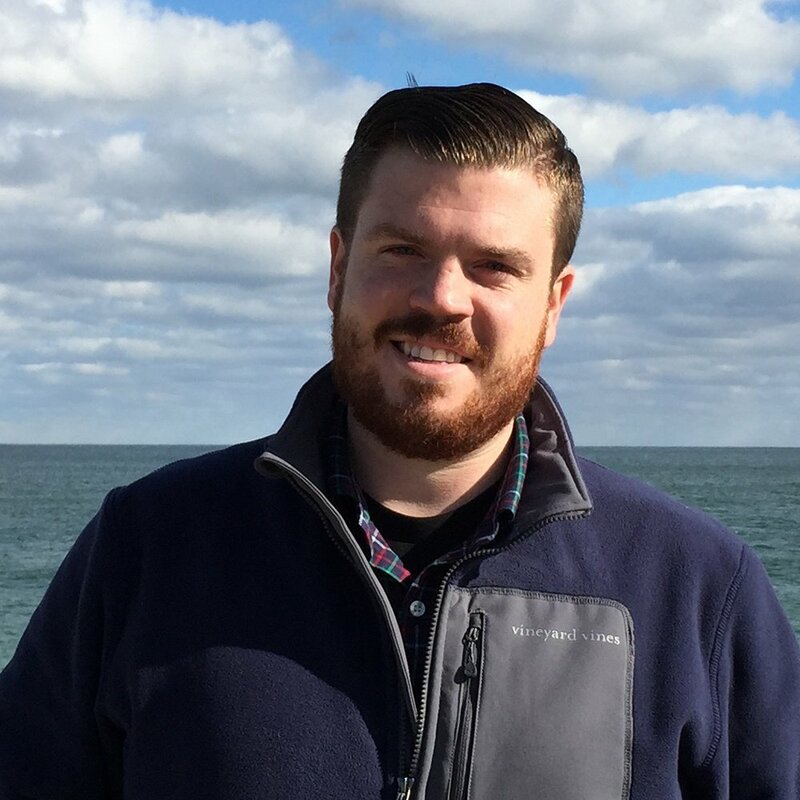 Our friendly and awesome customer success team will get back to you super quick. Be on the lookout for exciting Springboard Retail announcements within our Cloud POS and retail management platform every couple of weeks (or whenever we have something new to share)!